There is no genre more misunderstood than the vigilante movie. While the more exploitative can be pretty sadistic, the best are truly characters studies of average people overwhelmed by grief and injustice. They are not cartoonish figures, but people you might know. Their actions stand as an indictment of a society and a criminal justice system that failed to live up to its half of the social contract. The eponymous widower Harry Brown is such a character, poignantly brought to life by Sir Michael Caine in Daniel Barber’s film (trailer here), which opens tomorrow in New York. A former Royal Marine stationed in Northern Ireland, Harry Brown made a conscious decision to renounce violence when he married his wife. Living in a crime-ridden “estate” (housing project) and stoically facing his wife’s agonizingly slow but imminent demise, Brown has already buried his only child (for reasons never disclosed). He will soon become the most dangerous kind of person: a man with nothing left to lose. Yet he has no murder in his heart. Brown’s first brush with vigilantism is an undeniably clear cut case of self-defense. While it does start him thinking, he tries to give his targets an “out,” but rather than taking it, they force his hand through their own recklessness and moral bankruptcy. Indeed, as exemplified by Brown, movie vigilantes are the peculiar right-wing variant of literary naturalism, wherein common men are forced by circumstances outside their control to take justice into their own hands. As Brown, Caine gives a performance that would be a fitting summation of his prolific film career. 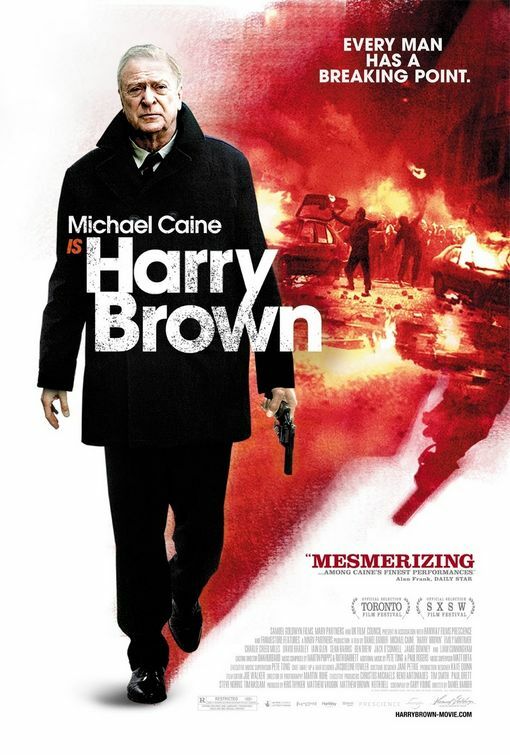 Not simply a world-weary prophet bemoaning the precipitous decline of civilized society or an old school Eastwoodesque action hero of advanced years, his Harry Brown is a fully-dimensional, fragile human being. Indeed, it is probably one of the most moving screen performances of the year, but many critics simply will not be able to get past the occasional bit of gun play. Stripping away extraneous detail, Barber focuses like a laser on Brown’s fears and anguish. It is a moody, gritty film more closely akin to the brooding original Death Wish film than its far bloodier and inferior successors. Capturing the oppressive seediness of the estate, Brown has a visceral sense of place. Howeve r, for all the social pathologies it catalogues, the film depicts a cruel nihilism that is impossible to explain away or ignore. 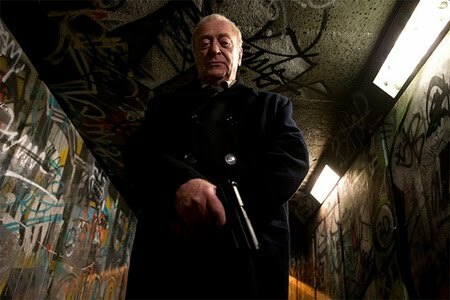 Eventually, Harry Brown should be recognized as a minor classic in the much-maligned vigilante genre and might also come to be considered Caine’s definitive film role. It is a film of surprising sensitivity and undeniable immediacy. Highly recommended, it opens tomorrow at the Angelika Film Center and the AMC Empire 25. Tribeca ’10: Gainsbourg, Je t’Aime . . .